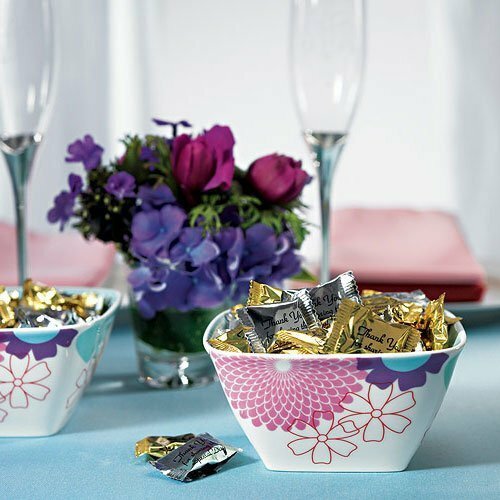 Are you MINT to be? 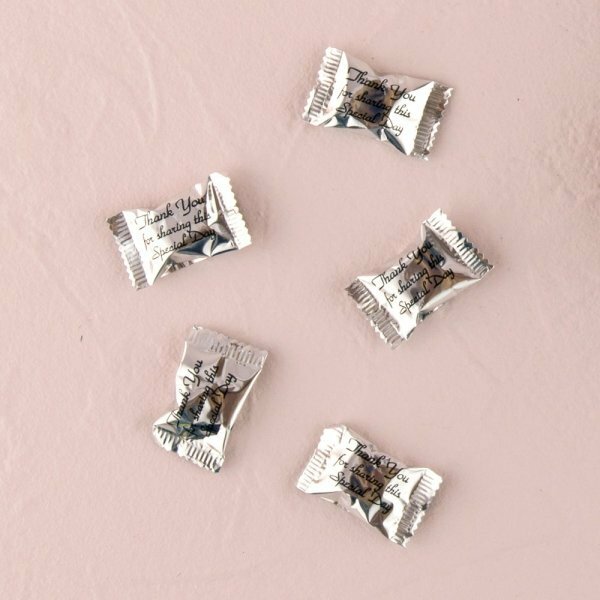 A refreshing way to express your appreciation to all of your guests for taking the time to attend your wedding or almost any special event, these traditional mint swirl candies are wrapped in your choice of gold or silver foil. 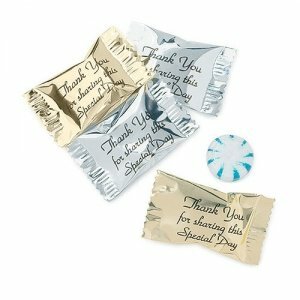 Each mint has the following greeting printed in black ink on the silver or gold foil wrapper: "Thank you for sharing this special day." Sold in packages of 100.